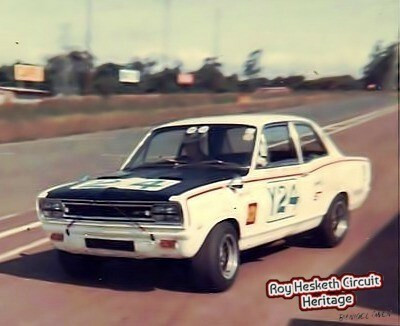 This heritage website has been designed by Nigel Owen a former resident of Pietermaritzburg who was a mechanic at Kempster Kingslea and part of their racing division with their Vauxhall Viva GT driven by Ray Emond. An avid racing fan and petrol head who raced Stock Cars at Roy Hesketh Circuit Dust Bowl back in the good old days of the 60s and 70s. Nigel has now retired to Spain after running his own engine business in the UK. This site is designed for fans and drivers alike with fond memories of the Roy Hesketh Circuit. There is listing of the events and results from the first meeting in 1953 up to the last in 1981 which is being updated as it is researched and verified for inclusion on the relevant pages. The Motorcycle section which also include a History of the South African TT from 1920 to 1979 written by Ken MacLeod. There is a section on the History of the Roy Hesketh Circuit and of the namesake himself Roy Hesketh, plus a Newspaper and Magazine section with report from the media at the time and much more. If you have any info images or memorabilia you would like to share on this website we would be grateful for them. We will accredit you for your donation of images and stories. We hope you enjoy your visit to this website, Contributions, enquiries, comment and suggestions will be most welcome to put names,dates and events to all images in the galleries. Please send by email and add your photograph as an attachment. If anything at the gallery breaches your copyright, please let us know and it will be remove the offending material immediately. Alternatively, please contact Nigel and he will gratefully acknowledge the image. In order to keep this ads free independent website running, improving and updating with new images and stories we would appreciate it if you would consider making a donation to help this happen and continue. Thanks.